Hostess bonus rewards! Dot Dollars! Sign up special! 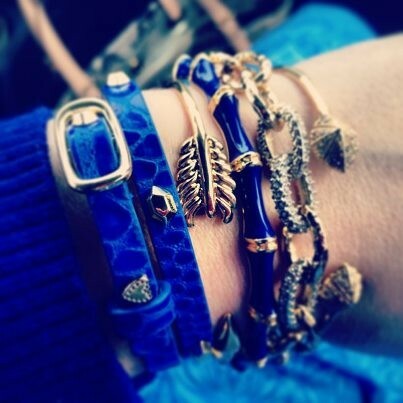 There are so many awesome reasons to host a trunk show in June! I am so happy that you are - you get to take advantage of some great incentives! 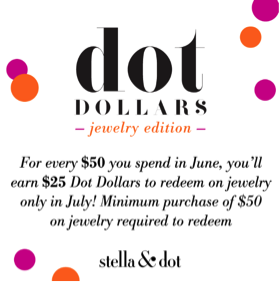 I'll be sending you an email soon that you can forward to your guests - they can earn Dot Dollars just for shopping in June! Let's catch up soon - I'd love to know which summer pieces are on your wishlist! During the month of June, just for hosting, you receive an extra $50.00 in hostess credits! You're already building style rewards!!!! 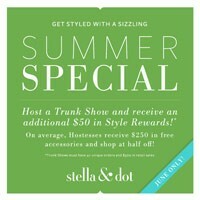 Also this month, for every $50.00 a guest spends, she receives $25.00 Dot Dollars, that can be redeemed starting July 3!!! Want to pay for your summer vacation by meeting fun ladies and sharing fab jewels? From now until June 30, anyone who joins my team will receive and EXTRA $100 in FREE JEWELS! So, for $199, you can start your own business, receive a whole bunch of supplies AND get $450 in FREE JEWELS:) Success looks so good on you!